​The wake of destruction when you come home after being gone a few minutes is like a cyclone. ​Barking at the sound of anything at all. These are just a few of the things that many pet owners find impossible to live with. Having a dog that overreacts to noise and reacts badly to being left alone, even for a few minutes, makes doing anything overly difficult. Just leaving the house can mean much preparation and knowing the neighbors are going to hear your dog screaming. Living in an apartment building can mean being threatened with eviction if your pet’s cries are disturbing the neighbors. Anxiety is an overreaction to stimulus of any type. Some dogs seem to have an issue with being left alone. Perhaps, in their mind, they envision that they are being abandoned. Some of these animals may come from situations of abuse, neglect, and abandonment in their past. Still, this doesn’t stop a puppy from developing extreme anxiety. Just like people, dogs all have different personalities, and this is a determining factor in how we, and they, handle stress. A stressful situation might be even more difficult for a dog that was removed from his or her mother at too early of an age. Studies show that when a puppy is removed from their mother prior to 8 weeks of age, they miss out on valuable learning periods of social interactions which include how to actually cope with stress. These lessons are learned from littermates and their mother in the form of games. What seems like play to us, is actually about acquiring survival skills for them. This is serious stuff to them. If we take a pup that was removed from mother too early, that has a bit of a submissive personality to begin with, it can develop irrational fears and overreactions to stimulus such as fear-provoking situations. Take that same dog, put it in a bad home, then rehome it later and you have a real recipe for a mess. So, you see, it can be a bit of both nature and nurture. It isn’t necessarily anything that you did, as the pet parent. If you have a dog with anxiety, there is hope. One of the most important things that you can do is to work with a dog trainer and get your dog some learning toys to help boost their self-confidence. Just like a child, accomplishments help self-esteem and personalities can blossom. Encourage them with praise and scold them less. Redirect a young puppy from chewing on a shoe by interrupting them with a toy instead and then telling them how good they are when they take the toy instead. Interrupt them, redirect them, and reward them. This sequence is so particularly important. Give them problem solving toys, like treat puzzles, that encourage them to find the spot that has the treat and figure out how to open it. Help them when they get discouraged so that they can learn to keep trying and develop the social skills they didn’t get early on. When you have an older dog, if the anxiety has gone on a long time with, you may need some intervention to help you break the cycle. This is when using remedies like infused collars that have lavender or chamomile work for some dogs. Other dogs need something more intense and what you are trying to do is break the cycle of behavior which has now become habitual. In order to get them to relax, while working on retraining, you may require a behaviorist’s help and a stronger remedy. Some veterinarians will prescribe medications but CBD oil for dogs is a much better option because you don’t need to put your already stressed pet through an office visit. In fact, many products are available on the market right now that are CBD infused for easily getting your dog to accept them. CBD infused dog treats make it easy to offer a treat within 15 to 20 minutes prior to leaving the house. This will allow your pet the chance to relax in their kennel, which you absolutely should be using for their safety, before you walk out the door. As part of your training, you might be told to practice this ritual and only be gone for 5 minutes each time for a week, before returning and offering them a regular treat, then exiting for longer and longer, as they build trust and understand this is a learning game. Reward them for remaining calm and quiet. Gradually, you will be able to extend the period of time you can leave them alone. 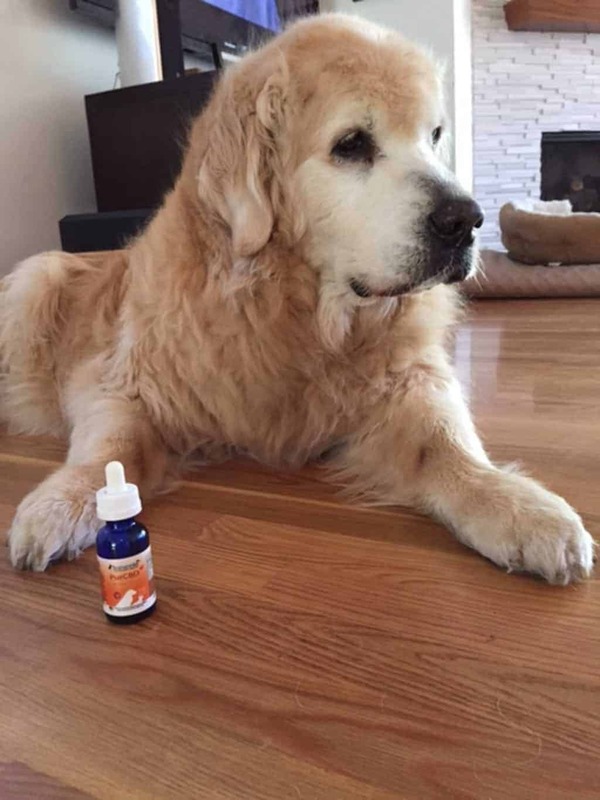 CBD oil for dogs is very safe and easy to use. The biggest factor is that there are no side-effects and it is not addictive in any way at all. You can look into CBD treats with an online search and have them within a few days in all 50 states.